Hi, I am a part-time tech geek who likes to tinker with computer stuff like Apple gear, Linux, web design, and other cool things that have flashy lights and go buzz. In real life I am not as hairy as Apple Ape but I do like fruit. 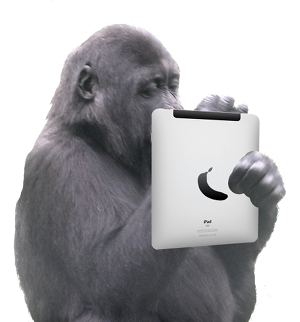 AppleApe.com contains my musings about Apple things and whatever else I decide to post. It's just a blog, so don't expect a post for every significant event in the universe. I hope you enjoy the bananas.